Why do I get the feeling that natural materials are better than commercial ones for math? I do the exact same activity with materials we have in the classroom. 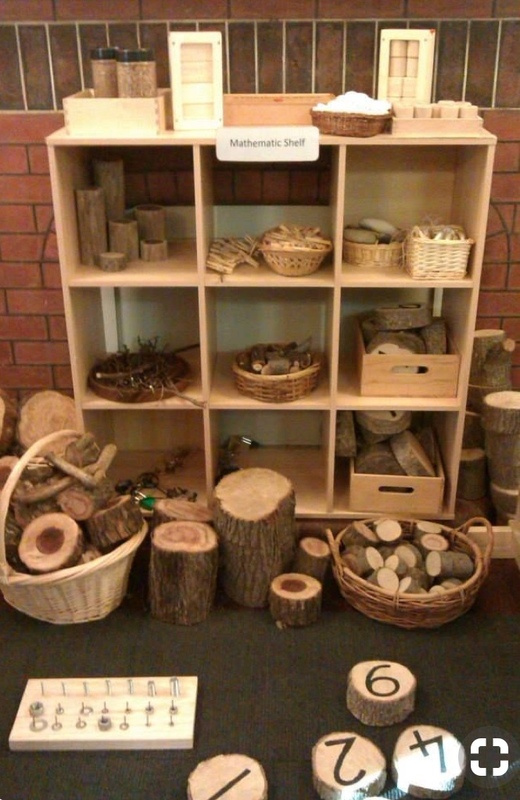 Do the students actually learn more about math through the natural materials? I’m wondering about this and am hoping that you have a better insight into it than I do so that I can wrap my head around this concept. I just need someone to tell me why I need to buy into this idea more. Thanks! I do not feel this is a one or the other answer. 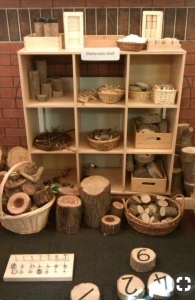 With the Reggio philosophy there is a focus on “natural and open-ended materials”. Cuisenaire rods, pattern blocks, number cubes, calculators etc are commercial, but open- ended and have been specifically designed with a math focus. I would want to see these and other commercially made math materials in any classroom. On the other hand it is about getting away from plastic or closed materials when there is a natural substitute or something the children can create e.g., In a child-created restaurant they might make the play money or food rather than wait for the educators to provide a commercial substitute. It all comes down to purpose and choice. What do I want my students to learn? What materials will I provide them with? Is there a natural material that will do the trick and save me from buying a plastic version? We do not want students to grow up never using commercially made materials, but we do want them growing up making responsible choices about the products they buy. Thanks for the opportunity to reflect on your question and share my thoughts! Next Next post: Ants! Ants! Ants!